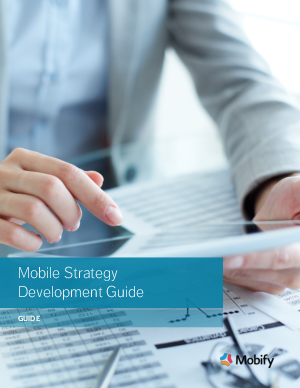 Succeeding in a mobile-first world starts with looking inward – to your mobile strategy. For a mobile strategy to effectively increase revenue, build brand equity and support customer engagement, it needs to be integrated with both your broader digital strategy and your organization’s marketing goals. Yet, only 17% of marketers report that their organization’s mobile efforts are aligned with its overall marketing roadmap and 31% say their firm lacks a mobile strategy entirely. These are frightening statistics in an increasingly omnichannel world.